Headlines: Lake Eucumbene is continues to rise though it has slowed a little. Midges numbers are increasing and the mudeye fishing is starting to improve for bait anglers. Trolling is producing a few fish in the main lakes. Rivers are really starting to fire for fly anglers. 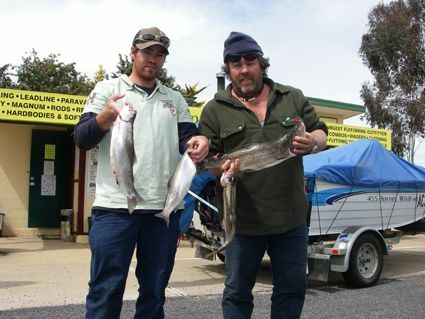 Boat lauching in Eucumbene is available at Old Adaminaby, The Dam Wall, Anglers Reach, Buckenderra. Trout Festival 2008 - Starts this Saturday! The 35th Yamaha and Freshwater Fishing Snowy Mountains Trout Festival. Dates for the week long competition are Saturday the 1st of November - Friday 7th of November 2008. 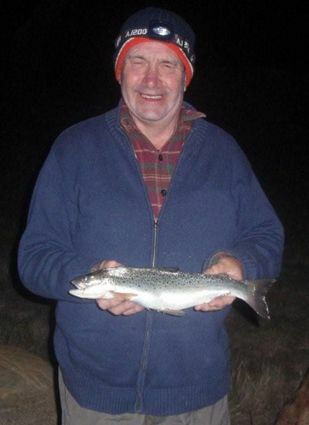 *Hi Tom/Mick, Another short trip to the <?xml:namespace prefix = st1 ns = "urn:schemas-microsoft-com:office:smarttags" />Euc River early Saturday morning (on the water by 6AM off by 9AM) saw ½ a dozen fish to hand and a couple missed or dropped. 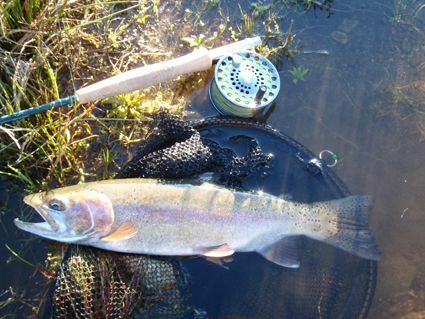 The river itself is at a great level for fishing and though many fish may have dropped downstream to the lake there are still enough numbers to keep you entertained. Again a small bead head nymph was the fly most keenly taken. Trolling will be good but you still have to find the fish. Reports suggest that hugging the shore in close early has produced best results. Other have found fish in the deeper water near the dam wall and Braemar. 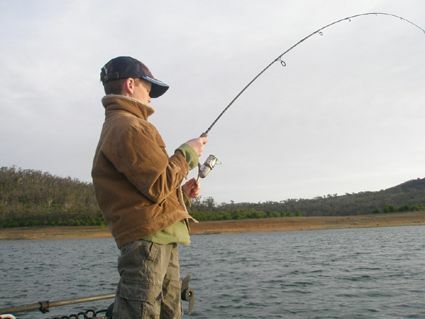 *Daryl and Ben from Cooma had a quick morning session recently for five fish. Tassie devil in YFR was the pick of the colours. One of the larger browns actually broke the wing off a Tassie. Never seen that before. 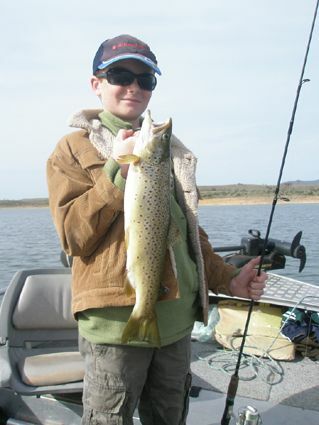 *Sturg from Cooma took his son Lachlan out for a morning troll and Lachlan hooked three and landed two on Tassies. 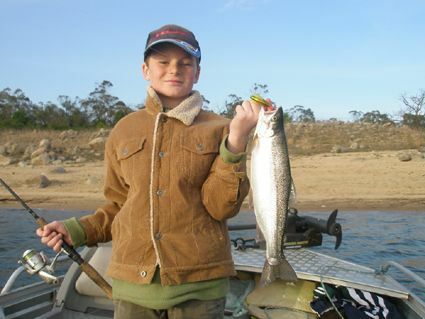 They had to leave early as dad had to do some baby sitting back at home but it was still a great session and Lachlan was reportedly very happy with the fish caught. John Tuckwell and I dropped into the shop today and Dave suggested that you may be interested in a photo from a fishing trip to Eucumbene on Saturday night for your weekly newsletter. * Brett Wills and his two sons fished Buckenderra for three days over the weekend and caught 18 fish on coutas and scrubbies. Good fishing indeed.